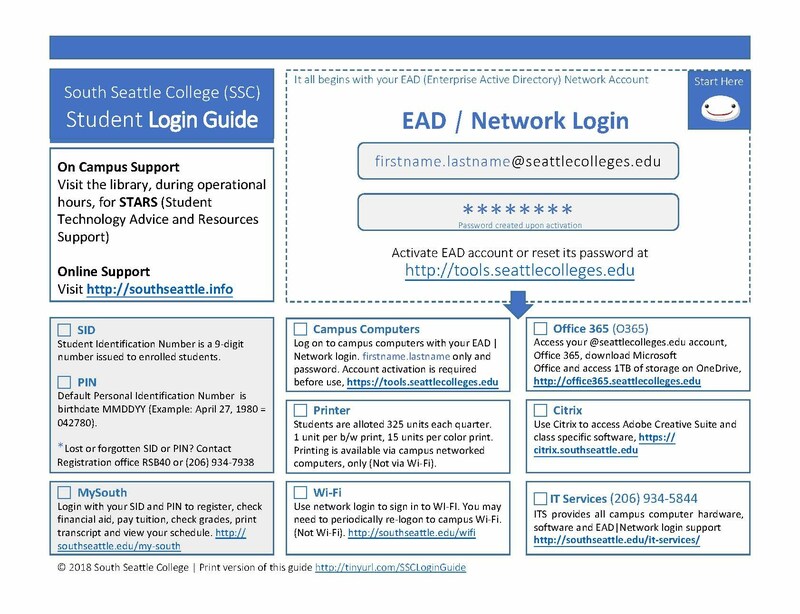 * Click either of the images below to access an easier to read and printable PDF version of these LOGIN GUIDES! 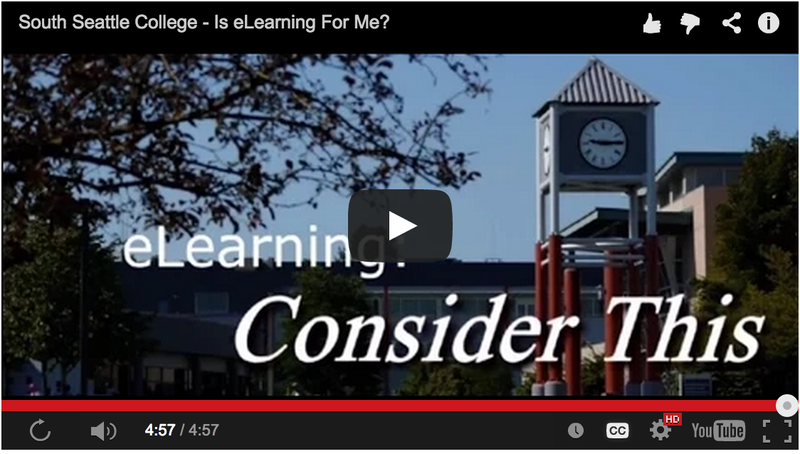 Registered for an online class? Start here! There's an answer for that question! 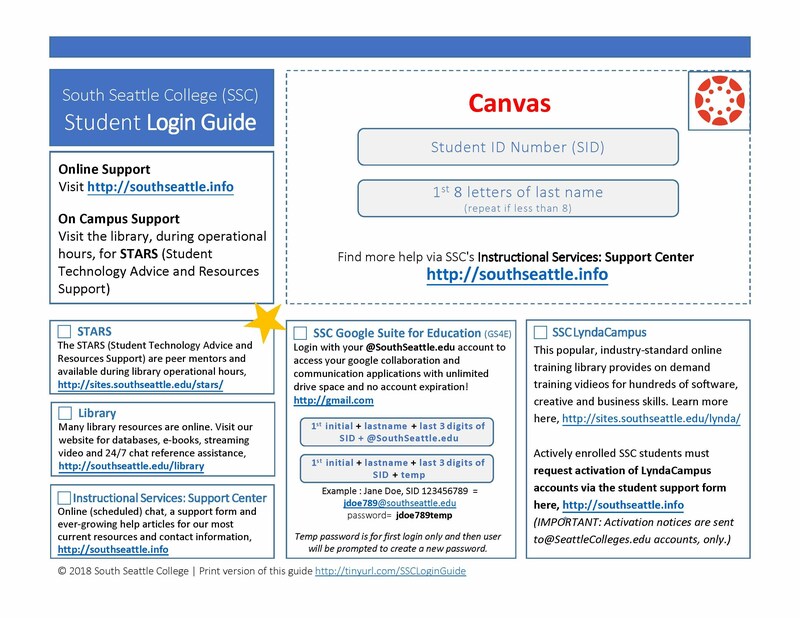 Google Apps for Education (SSC GA4E) Student email, apps, storage and more!